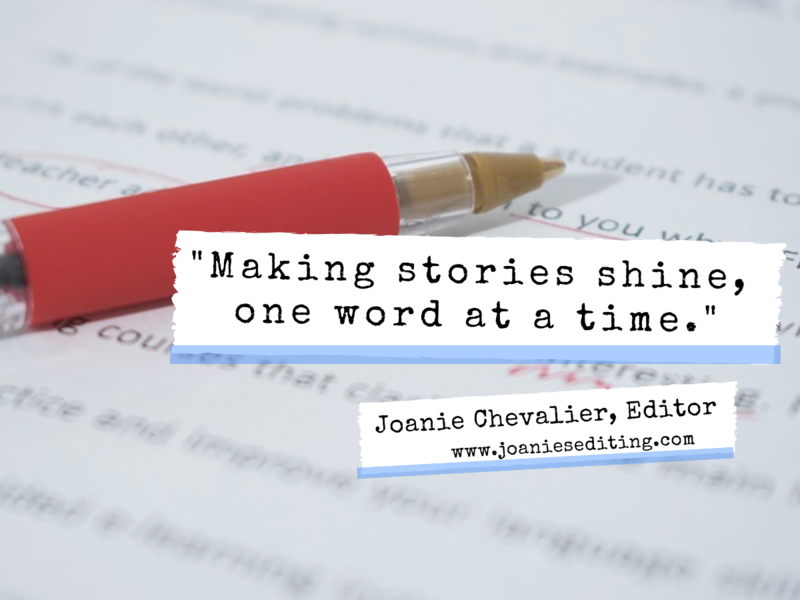 Making stories shine, one word at a time. I provide beta-reading (as well as proofreading/editing) services and I receive manuscripts with the same issues over and over. There are several things that an author can do to make their manuscript easier to read. Here are my top five tips. Double-space your manuscript, or at least space it 1.5. When I receive a manuscript, I want to be able to read it easily. Sure, I’m redlining from a Word document and I can easily do it, but the author should remember to do this before sending; it’s common courtesy. Also, it’s important to place page numbers in the footer. If I print it out, I want to keep the pages in order. Don’t be monotonous. Nothing makes a manuscript more boring than “he said,” “she said” throughout the entire story. Do not write this! Use variation. If there is uncertainty as to who is talking, the beta reader will let you know. If there are only two people in a conversation, it’s fairly easy to follow along. Don’t be afraid to ask for what you want. What do you want from a beta reader? Do you want her to concentrate on the characters? Do you want her to comment on plot flow? Would you welcome comments or suggestions? Keep in mind that family members are not true beta readers. They will read your story and LOVE it. You’ll ask questions, and their only answer will be “GREAT!” They won’t point out flaws or plot holes, or obvious mistakes. They don’t want to hurt your feelings. Find an outside beta reader. Lastly, don’t forget to thank your beta. They read for the love of reading. They’ve spent precious time, sometimes hours, reading your story. Some authors offer a beta reader a free book once it’s published, or a gift certificate. Whatever you do, be sincere. Happy writing! See my prices for beta and editing services here. I’ve read over 60 how-to books on writing fiction. I’ve often come across the admonition to use “said” rather than most of the alternatives. Has this changed now? If so, could you possibly point me to a reference that supports the change? Thanks. “I got a new puppy this weekend,” she said. “You should get one,” she said. “Yes, I will!” He said. “What type of dog would you like to get,” she said. “I don’t know. I will take a look,” he said. “We can go sometime soon,” she said. “That sounds like a plan,” he said. Most readers would give up on this book! What do you think? Thanks for your detailed answer. To me, you’ve given us an excellent example of “blow-by-blow” dialogue, i.e. too many mundane details. Also it’s what I’ve heard called “on the nose” dialogue – which means that it lacks subtle hidden assumptions, unstated meanings and silent emotions. Also, I’d agree with you that it wouldn’t be necessary to tag each line, because the reader doesn’t need every line tagged to understand which of the two people is talking. Simply skipping every other “he (or she) said” would be efficient. With two people talking and our tradition of having each new piece of dialogue begin as a new paragraph, it wouldn’t be necessary to tag more than a few lines. Additionally, if the character’s voices are distinct enough, even fewer tags are necessary. But these issues are not what I’m asking you about. Using synonyms of “said” is the issue I’m wondering about. Examples: “he suggested,” “she replied,” “he argued” “she squealed” “he interjected” “she bellowed,” etc. Every “how to” book I’ve read says to avoid these synonyms of “said” and simply use “said” with no concern for redundancy.